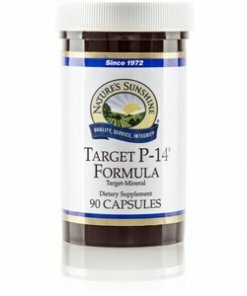 Nature’s Sunshine Target P-14 nourishes the pancreas with a unique blend of the two key nutrients chromium and zinc. Chemically combined with the amino acids glutamine, leucine, and lysine to encourage absorption, chromium and zinc assist in maintaining already normal blood glucose and blood sugar levels. 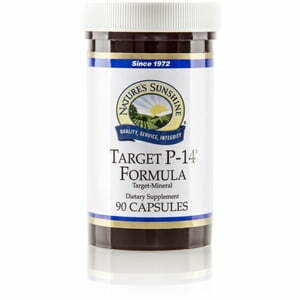 Target P-14 assists the pancreas in naturally producing insulin.